This year is the 20th edition of IBJJF’s (CBJJ) World Jiu Jitsu Championship, a tournament that has boosted the status of Brazilian jiu jitsu like no other had done prior to its existence, or has done since. With many organizations providing quality events with high class grapplers around the globe, the Mundial (in Portuguese) is still regarded as the most prestigious jiu jitsu competition in the world, and there is a reason for that, history. In the mid 90s jiu jitsu lacked a serious competitive scene, with many jiu jitsu competitors moving on to vale-tudo or quitting the sport altogether to pursue 9-5 jobs. The largest competition before CBJJ was the distinguished but long forgotten Copa Company. Carlos Gracie Junior would come to revolutionize the sport by creating a new federation and putting a marketing effort together, with the help of people such as “Zé Beleza”, Luca Atalla and a few others, giving the sport the glamour and buzz it required. For the past 20 years, the World Championship has seen generations of the best jiu jitsu competitors in the world battle on its arena, turning a fighting style into a recognized sport and helping clear the bad name jiu jitsu practitioners had in the 1990s. The tournament has been home to some of the most memorable matches in the history of BJJ, some of these events will be covered on this piece. Go to your desired year by clicking on the links, or scroll down to read through all: 1996, 1997, 1998, 1999, 2000, 2001, 2002, 2003, 2004, 2005, 2006, 2007, 2008, 2009, 2010, 2011, 2012, 2013, 2014. The first Mundial de Jiu Jitsu took place on the 3rd and 4th of February, 1996 (Saturday and Sunday) at the Tijuca Tênis Clube venue in Rio de Janeiro, Brazil. The competition had the participation of countries such as the US, Brazil, France, Japan, Holland, Switzerland, UAE, Italy and Cuba. The first black belt match of a world jiu jitsu tournament took place between two legendary light featherweights, Helio “Soneca” and Octavio “Ratinho” Couto, a fight won by Soneca on points. In the middleweight division, an important “old timer” decided to dust off the old kimono and battle against the younger generation. Famous for his 1981 fight against Rickson Gracie (Rickson’s toughest fight on record) and known as the developer of the closed guard in jiu jitsu, Sergio Penha would not go too far in the tournament, losing to the younger Eduardo Jamelao, one of the best competitors of the 1990s generation. In the medium heavyweight division a new star emerges. Promoted just a few weeks prior to the tournament as Gracie Barra‘s secret weapon against Wallid Ismail‘s pressure passing game, Roberto Magalhaes showcased his incredible “Roleta Guard” (inverted guard) to a broader audience that day, one of the creators of the “esqui-jitsu” (weird jiu jitsu), Roleta used his innovative guard to unbalance Wallid’s base and take his back in the last seconds of the match. Roleta would face “Bebeo” Duarte in the final, submitting him with a triangle choke, one of his many trademark moves. Ricardo Liborio at 83kg (183lbs) decides to enter at super heavyweight (3 categories above his weight class) just so he could avenge his loss to Leo Castello Branco from 1993. The two met at the final of the worlds and Liborio got the win back, beating Castello Branco with a takedown. 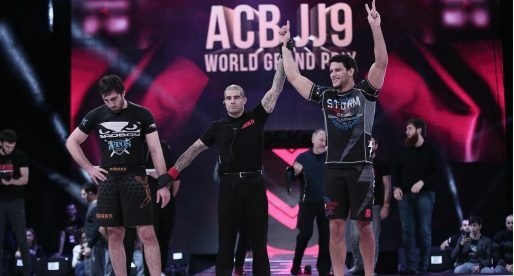 In the Absolute, Amaury Bitetti, arguably the most talented grappler of his generation, engraves his name in jiu jitsu’s history, becoming the first open weight world champion. Royler was on fire at the 1997 Mundial, the head coach of Gracie Humaitá and most accomplished Gracie competitor of his generation, went through his adversaries at the featherweight division, submitting Luis Amigo and Otávio Couto, going on to win against the technical Alexandre “Soca” on points and lastly meeting the “new breed” of athlete in Vitor “Shaolin” Ribeiro in the final, beating the Nova Uniao star by an advantage. Not satisfied, Royler Gracie would venture in the absolute division, beating Arthur Ignarra and Léo Dalla before succumbing to Amaury Bitetti at the semi finals by 2 points (takedown). Amaury was the larger and fresher athlete having had a few wins by WO (without opponent) previous to the semis match. Bitetti would beat Fabio Gurgel on the final. The absolute had some of the best jiu jitsu athletes the world had to offer. One of those was the powerful Zé Mario Sperry. Having won his weight division, Sperry (who had never lost a competitive jiu jitsu match) met Saulo Ribeiro at round 1, and Roberto “Gordo” Correa in the quarter final. In his fight against “Gordo”, Sperry won but ended the fight injured and could not proceed, a major blow to all who saw the Carlson Gracie prodigy as the man to beat at the tournament. Roberto “Roleta” Magalhaes and Zé Mario Sperry clash twice in one of the most exciting jiu jitsu events ever. In the super heavyweight division, the two met in the ¼ finals. A much anticipated match between the best guard passer in the sport against the modern day guard player. The first match went Roleta’s way with Sperry submerged into Roberto’s puzzlesome guard. Roleta would achieve the win, but in their match in the absolute final, the tables would turn in dramatic fashion. Playing a strategic game, Sperry pulled guard and with an amazing scramble was able to sink in a tight clock choke on the lanky Magalhaes. Roleta taped but the referee didn’t see it and so the fight would carry on, with many people boing on the stands. In the end Sperry still managed to take the match on advantages. In the lightweight division, Leozinho Vieira wins his first world title at black belt, while one of the most celebrated grapplers of all time, Nino Schembri finally reaches the top of the BJJ pyramid, closing the division with the developer of the half guard, Roberto Correa. 1998 was also the first time women were able to compete. The division was open to all belts and had two weight classes, light and heavy weight. The winners were Rosangela Conceicao (heavy) and Thaís Ramos (light). On the year when Royler Gracie was crowned the king of the featherweights for the 4th time, setting the record for world titles in the division, and on the same year when Saulo Ribeiro got his revenge from Roberto Roleta, it was Rodrigo “Comprido” Medeiros who shined the brightest. The biggest name of the event, Medeiros achieved star status overnight by winning the open weight division, defeating Sperry and Roleta on the semi final and final respectively, in an open weight tournament that ended passed the midnight point. The loss to Comprido retired Zé Mario Sperry, who hanged up his gi to dedicate himself to No Gi and MMA after 1999. On the way to gold Medeiros introduced the toe hold to mainstream jiu jitsu fans, a position that was not commonly seen until then, which he used to defeat Roleta. With Royler Gracie absent of the world championship, the featherweight division was finally open for the taking, and with several veterans on deck eager for the gold medal, it would be a rookie Hawaiian named BJ Penn who would make history. BJ Penn defeated three well known jiu jitsu men (Alexandre Soca, Fredson Alves and Edson Diniz) to win the featherweight title, but he wasn’t the only one making history that day. Omar Salum won his second world title in the rooster-weight division, setting a record that would only be surpassed by Malfacine in 2010. 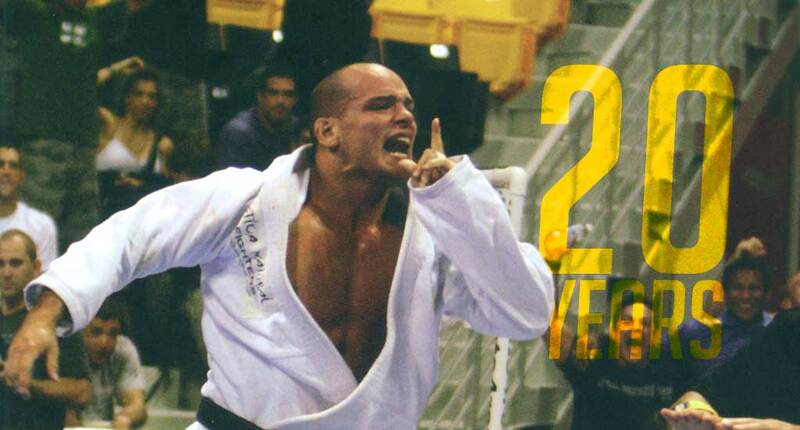 Rodrigo Comprido continued in fantastic form, winning his second absolute title at the 2000 edition of the open weight division, matching Amaury’s record, while his team mate Fernando “Terere” beat the legendary Nino Schembri with a takedown in his black belt debut. Terere won his 4th world title that night, one in each belt division. If anyone stood out in 2001, that person was Fernando “Margarida” Pontes. Winner of the medium heavy and open weight divisions, Margarida proved that he truly was one of the all time best. Always entertaining, Margarida beat his opponents in exciting fashion, including his famous submission win over Saulo Ribeiro (by baseball choke), Ribeiro who had not been submitted in the black belt division ever before. In the lighter weight divisions, Vitor “Shaolin” retires from the World Championship with a remarkable win over Fernando “Terere”. Already eyeballing a career in mixed martial arts (MMA), Shaolin entered the tournament a weight category above his natural weight defeating the man from Cantagalo. In the light featherweights another star is born in Ricardo Vieira, the brother of Leozinho. “Rico” stole Robson Moura‘s 5th black belt world title, defeating the dominant peso pluma of Nova Uniao in the semi final in one of the most exciting jiu jitsu fights of all time. 2002 marks a very important year in the history of the sport. The appearance of a new federation, CBJJO (Confederação Brasileira de Jiu Jitsu Olímpico), a promotion that inadvertently caused havoc in jiu jitsu’s sporting environment. The CBJJO federation appeared as a consequence of the slight uproar that was being made at the time, regarding the lack of prize money in IBJJF’s world championship. This buzz led to the creation of the aforementioned promotion by Luiz Hermínio, an entrepreneur, founder of the KF gi brand and a big sponsor for the Nova Uniao team. This federation came to offer an alternative to competitors, with a financial return. The main competition of CBJJO was called “Copa do Mundo de Jiu Jitsu“ (World Jiu Jitsu Cup) which took place on the same weekend as the world championship. Although many fighters saw this organization as a breath of fresh air, it’s birth also generated much heated rivalry between teams such as Gracie Barra (who supported IBJJF) and Nova Uniao (supporters of CBJJO). After removing its athletes from IBJJF tournament, it was only in 2007 that Nova Uniao officially returned to IBJJF organized events. The rivalry also sparked internal disputes, the most notorious one within the Alliance camp, which led to the desertion of the big majority of its black belt team. The actual tournament missed many of the usual stars, including Leonardo Vieira, Leonardo Santos, Fernando Terere, Margarida, Robson Moura, etc. Without many of his usual rivals, Márcio Cruz showed his dominance winning his weight and the absolute division in incredible fashion. The battle between IBJJF/CBJJ and CBJJO continued with several stars from Nova Uniao team and some from the old Alliance/Master team missing the show. The 2003 tournament saw two of the sport’s future stars premiere in the World Championship at black belt, they were Marcelo Garcia and Roger Gracie. Though they both did incredibly well, Marcelo would end up being submitted by the inimitable Terere by triangle choke in the final of the 82kg division, while Roger would reach the final of the open weight category, losing to the experienced Pé de Pano by 3 points. Though the 25 of July 2004 will always be remembered by the incredible showdown between Ronaldo Souza and Roger Gracie at the final of the open weight (the one won by Jacaré with a dislocated arm), there was more than one great story in 2004. Though Fernando looked as sharp as ever, with wins over veterans such as Marco “Giant” Villela and Roberto Agnase, reaching the final of the event. He would lose to Fabricio Werdum on the final, on points. The absence of Terere from the middleweight division opened the doors for Marcelo Garcia to start enforcing his control over the category, winning his first world title at black belt. 2004 marked the start of the “BJJ trinity”: Ronaldo Souza, Roger Gracie and Marcelo Garcia, all of whom won their first world titles at black belt. In the light featherweight division, Gabriel Moraes‘ win makes history, being the only competitor to win the world championship as a blue belt (2003) and as a black belt the following year. A deed never to be repeated. Ronaldo Souza, the famous Jacaré shows up again to dismantle the opposition, submitting big names such as 2002 world champion Delson Heleno and Brazilian open weight champion Alexandre de Sousa, while imposing his will on Braulio Estima (6×0) and Roger Gracie (2×0). One of the best ever, Ronaldo quit competitive jiu jitsu that year to focus on an MMA career, seeing no monetary future in grappling. The tournament would also outline Andre Galvao‘s first world title at black belt, after winning the weight and absolute divisions on the previous years as a purple and brown belt. The 11th Jiu Jitsu World Championship defined the end of an era, the last time the event was held in Brazil at the Tijuca Tênis Clube – RJ. With the IBJJF set on conquering a more financially viable market in the USA. For many the change had a dramatic impact, especially on the Brazilian grappling community, who saw their biggest tournament move to a country where their visa’s were denied and their pockets could not reach. The nostalgic atmosphere did not stop Alexandre Ribeiro from claiming what was his. One of the best performances by the Manaus native, “Xande” went through his opposition, defeating legends like “Cyborg” Abreu, Tarsis Humphreys and Roger Gracie, to name a few. Conquering the heavyweight and open weight titles in a talent stacked absolute division. The first Mundial tournament to be held outside of Brazil took place at the California State University in Long Beach, CA – USA. The change of scenery brought a new, deeper dimension to the sport and with it two new world champions from outside Brazil in the black belt division. Following the steps of BJ Penn, a new star is born, Rafael Lovato Junior who won the ultra heavyweight title, being the second American to achieve gold in the black belt division. Less mediatic but extremely relevant to the grappling community, the french Laurence Cousin Fouillat became the first woman from outside Brazil to win a black belt world title. This was one of the most eventful “Mundial’s” ever organized with many future starts emerging, among them was Bruno Malfacine, the most accomplished rooster weight of all time who won his last world title for GF Team before moving to Alliance in Sao Paulo. And speaking of Alliance, another world champion reveals himself. The newly promoted Lucas Lepri won his first world title in 2007, submitting the previous king of the lightweights, world champion Celso Venicius in the semi final with a kneebar. In a tournament that missed Marcelo Garcia, focussed at the time on his MMA career, Roger Gracie won double gold, submitting all his opponents except Fernando “Margarida” who had returned to competition after a series of mishaps put him on the side lines for a few years. The fight between Roger and Margarida was regarded as the best fight of the year by Gracie Mag at the time (cover of edition #127). In the mean time “Serginho” Moraes worked hard to overcome a serious injury that kept him away from the mats for most of 2007. Coming from a very humble background, Moraes knew he had one chance to shine and make a name for himself in the sport. Hungrier than ever he took the world by storm that year, submitting Kron in the first round (arm in ezekiel), then defeating Cássio Werneck, “Tio Chico”, Victor Estima and Bill Cooper in the final. 2009 was also the start of one of the biggest rivalries in the rooster weight division. 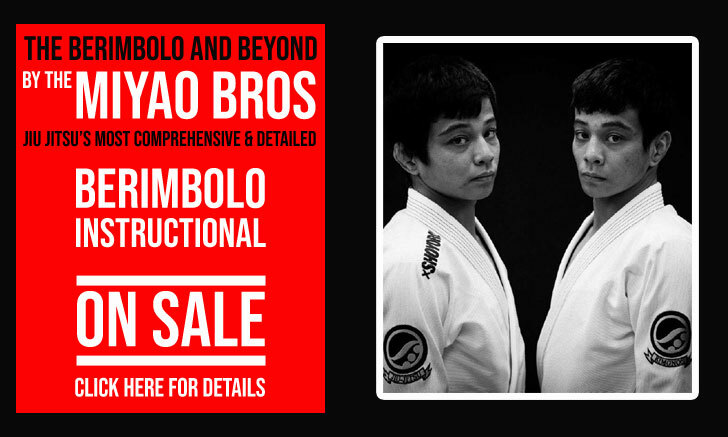 Caio Terra and Malfacine had met many times before in the lower belts, but this time the stacks were higher than ever before. The first round between these two went to Caio Terra, who submitted Malfacine with a choke. This would be Celso Venicius’ last world title at adult. while Xande Ribeiro would reach double gold figures once again, defeating Roger Gracie in the open weight final. After a stellar career in the lower belt divisions, the Mendes Brothers start their path towards jiu jitsu stardom. Very criticized throughout the first year as black belts for their slow paced and highly tactical approach to jiu jitsu, with games heavily reliant on the 50/50 guard, Rafael and Guilherme broke the taboo of the patience game in the sport. That game plan would end up hurting Rafael Mendes in the semi final match against the former king of the division, Rubens Charles. If the slow 50/50 guard game did not work in Rafa’s favor when the referee decided to award the victory to Cobrinha in the featherweight final, Guilherme avoided the same fate in the light featherweight, by staying away from a judge decision. Guilherme would be the first “Mendes Bro” to achieve black belt greatness, defeating Pablo Silva by 2 points (¼ final), Carlos Holanda by advantages (semi final) and Samuel Braga, also by advantages (final). In the last match, after defeating Braga, Guilherme did the traditional Atos Academy celebration. This infuriated Samuel, who pushed Gui as he commemorated. This famous rant had Samuel Braga stripped of his silver medal and resulted in the IBJJF banning after match celebrations from their tournaments. In a very productive year for the middleweight division, we saw jiu jitsu’s prodigal son, Marcelo Garcia, return after a failed attempt at an MMA career. 2009 also saw Roger Gracie unveiling his cross choke from mount to the world, submitting every opponent on his way to double gold. The last year we saw Roger Gracie compete in the world championship, the king left on a high note by setting the record of most open weight championships (3). Roger changed his game this time around not opting to submit from the mount, instead the Gracie submitted 8 fights with chokes from the back. The only one who didn’t fall victim to Roger’s squeeze was Ricardo “Demente” who lost by points (13×2). The tournament also saw Tarsis Humphreys finally achieve his gold medal, being the first black belt world champion raised by Fabio Gurgel from white to black belt. This was an exceptional year for Alliance who placed 6 men in the black belt finals and 5 gold medals. With the 50/50 guard now fully established in jiu jitsu’s sporting environment, Rodrigo Cavaca opens the footlock game with an innovative position which he called “Botinha”, a variation of the straight ankle lock with the use of the lapel. Cavaca would finish several black belts that weekend with this position, including Roberto Abreu in the final. the year marks Marcelo Garcia‘s retirement from jiu jitsu. Set on building the future generations of the sport from his NYC academy. In the mean time, a new breed of heavyweight arrives on stage, completely dominating the tournament. Powerful, with strong throws and never ending energy, Rodolfo Vieira has fans head over heels by obliterating world champions with ease, such as Sergio Moraes (8×0), Bernardo Faria (9×0), Rafael Lovato Jr. (20×2), Marcus Almeida (Armbar) and many other high end competitors. After a failed attempt at the world championship in his first year as a black belt, the best ultra-heavyweight of all time starts his winning run at the world championship, conquering his weight class and the absolute division. In a display of sheer grit and perseverance, Marcus “Buchecha” beats his 2011 nemesis Leo Nogueira in one of the most memorable open weight finals the world had ever seen. The year also celebrates the victory of Leandro Lo. Having been submitted at the semi final the previous year by Kron Gracie, Leandro returns to the Mundial with a much improved guard passing game which he used to steamroll the opposition, scoring over 50 points in 5 lightweight matches (having only 2 points scored against him). In the featherweights, Rafa Mendes gets closer to the record number of world titles set by “Cobrinha” and Royler Gracie in the division. Referee Muzio de Angelis had no choice but to grant Gabriel an advantage, thus changing the score to a draw, except Moraes had one less penalty and with that he become the world champion. In the featherweights, “Tanquinho” has a tremendous tournament beating Rafael Mendes and Cobrinha, winning the Mundial and shaking things in a division that had been handed to one of these two for since 2006. Otavio Sousa was also in great form, setting himself as the ruler of the middleweight division with his second world title. Malfacine sets the record most roosterweight titles at 5, leaving Omar Salum‘s previous record well behind. 2014 also saw Rafael Mendes match Cobrinha and Royler Gracie’s 4 world titles, while Marcus Almeida met Roger Gracie’s previous Open Weight title record (3). Leandro Lo moves up a weight class, another test passed with flying colors by the Sao Paulo native. 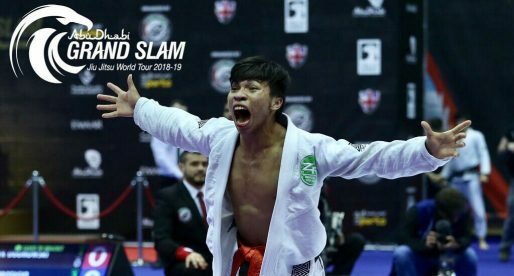 The tournament also featured the much anticipated premiere of the trio that caused waves in the lower belts, Keenan Cornelius, Paulo and Joao Miyao, competed for the first time as black belts, with the Miyao’s reaching the finals of their respective divisions. Records Have Been Matched, Can They Be Broken? Images: The images used on this article were by majority taken from Gracie Mag.